With the advent of Amtrak the Illinois Central's Central Station is nearly bereft of traffic, hosting only the former IC City of New Orleans and Shawnee and Big Four/Louisville & Nashville/Seaboard Coast Line South Wind; soon both will be re-routed to Union Station. 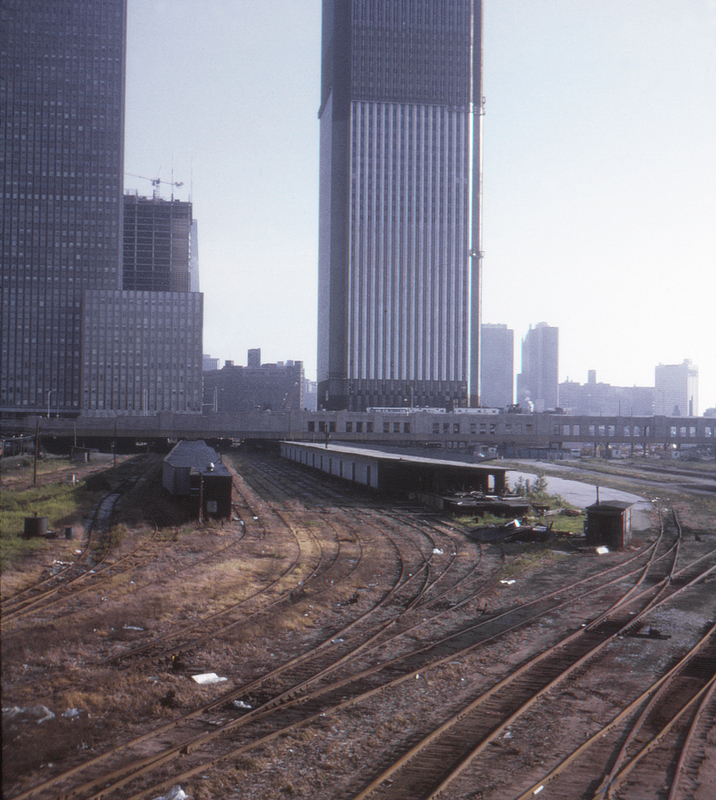 Central Station's decline actually began much earlier in 1959, when the New York Central moved its Michigan Central trains to La Salle Street Station (and paid IC $5 million to settle the resulting breach of contract suit), although its Big Four trains remained until Amtrak. Here we see the remains of the coach yards north of the station, which was finally demolished in September 1974.